Thinking of travelling to Europe sometime soon? Perhaps you can bring me back a package from this incredible Swedish site. Barnvanligt don’t ship to Australia but they do ship all over Europe so this might be the time to call in a favour from Euro-residing friends or family. They can reship to you a world of amazing kids decor items, most of which are unique to my eyes. 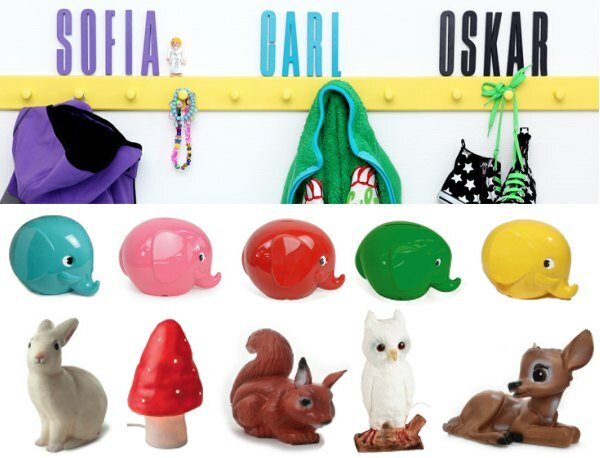 Retro elephant money boxes, woodland creature figurines, designer furniture and divine nightlights, Barnavanligt products all seem to have fun in mind. Your home will come alive with all the critters in the form of functional and pretty objects, from colourful coat racks to birdhouses with a bird figure to mind your keys, nothing is mundane here! Browse Barnvanligt and fall prey to the beauty – if you have a colour scheme in mind, search for objects by colour so you can finish off that nursery.